This is a very grand watercolor by noted British artist Joseph Nash (1808-1878). 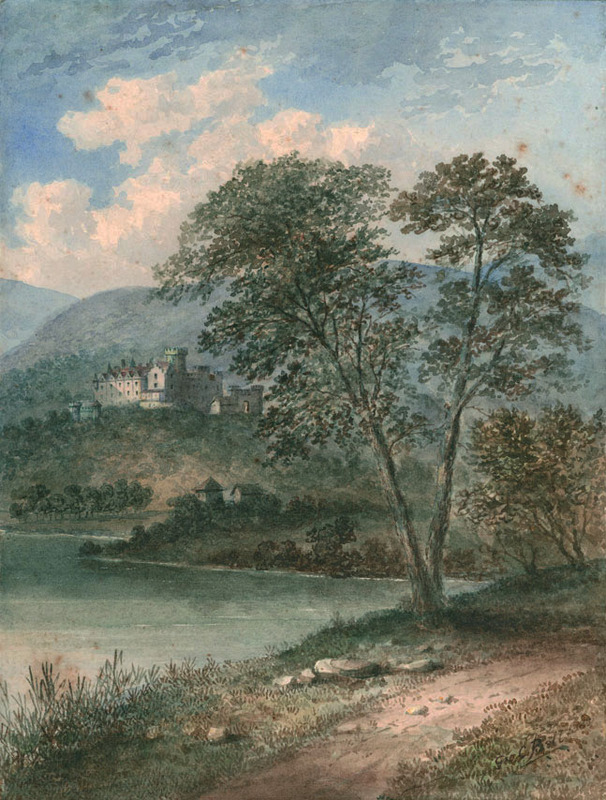 The sight size of this painting is 26 1/8 x 18 3/4 inches, it was painted in 1846 and is signed and dated in the lower right corner. 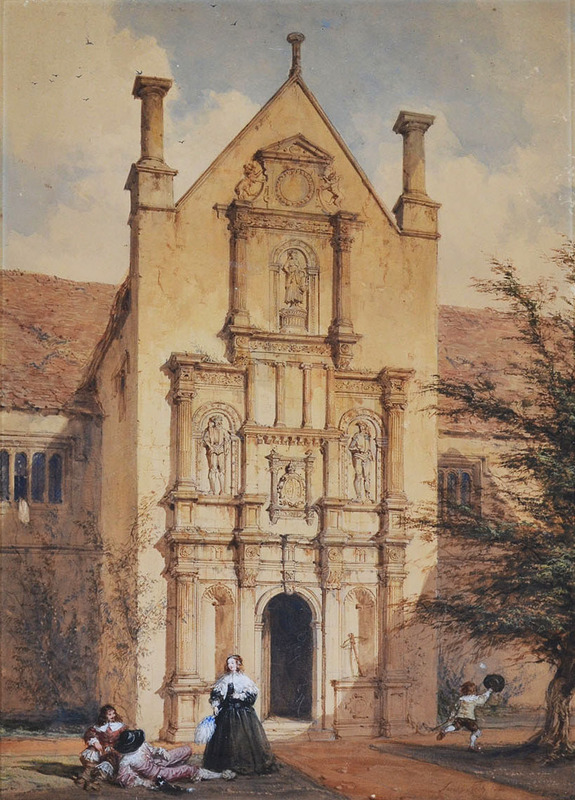 Joseph Nash studied art and architecture with Augustus Charles Pugin, becoming known for his finely detailed images of British architecture, from cathedrals to castles and manors. 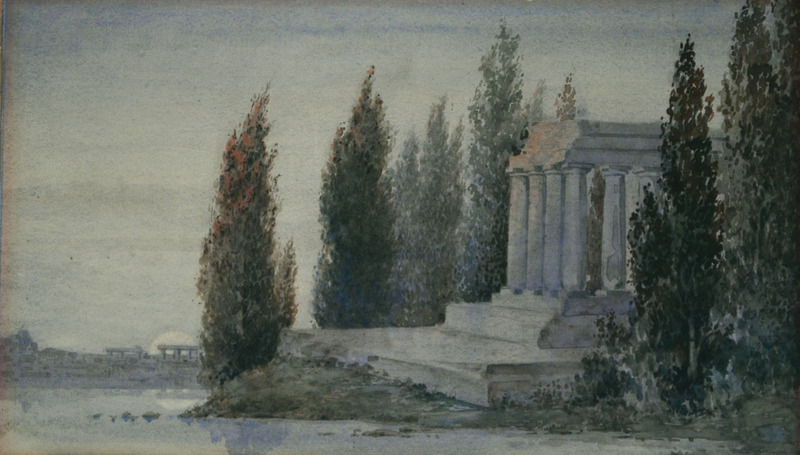 He would very often place a group of people in the foreground of his compositions, in a way that brought life and energy to the architecture, as can be seen in this image. 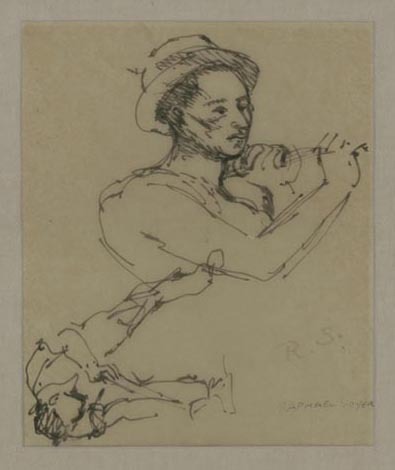 Nash was a member of the Society of Painters in Water Colours and frequently exhibited his work there as well as at the Royal Academy, The British Institution, and The New Watercolour Society. 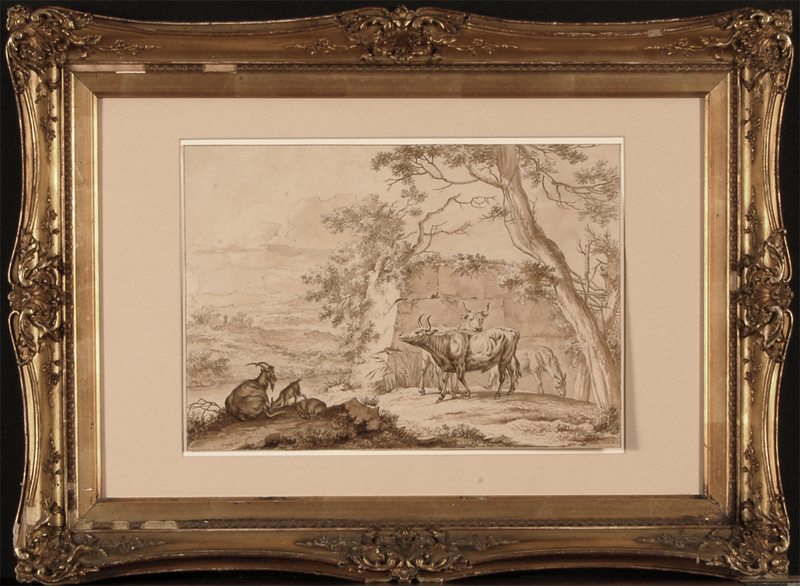 Ink and wash, image size 9 3/4 x 13 7/8 inches, inscribed on reverse "J. Bosch 1773 in de manier van N. Berchem met stoffazie na A.v.d.Velde" (In the manner of Nicolae Berchem [Dutch, 1620-1683] and Adriaen van de Velde [Dutch, 1636-1672]), framed. Pastel on board, 9 x 12 inches, c. 1900, signed, in the original frame. "The Montross Gallery is named after its founder and first director, Newman Emerson Montross (1849−1932). The gallery, which opened in 1878, represented leading American artists of the time, including Thomas Dewing, Abbott Thayer, Dwight William Tryon, Horatio Walker, and Alexander Wyant, and sold work to collectors such as Thomas B. Clark, Charles Lang Freer, George Hearn, and John Johnson. This commitment to the American art movement deepened in the 1900s, when the gallery hosted the annual exhibitions of the Ten. " 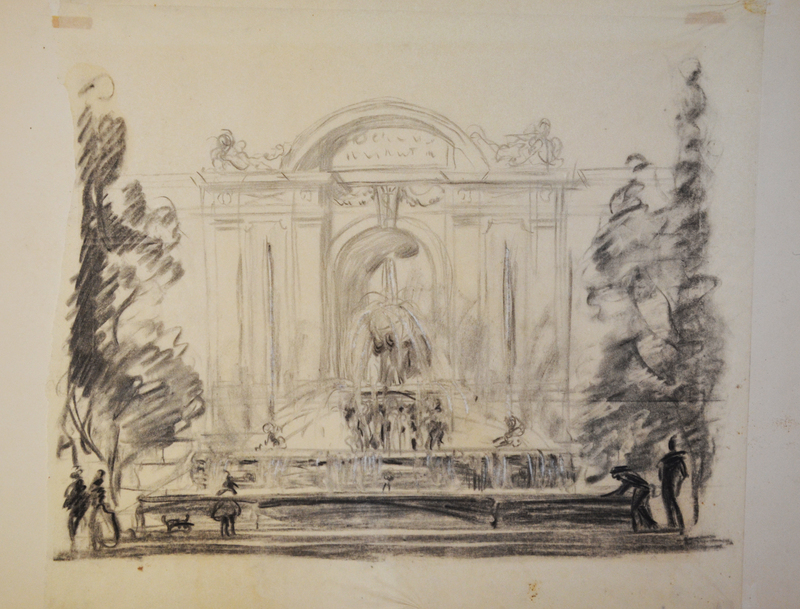 This is an interesting original drawing of a european fountain, it is unsigned but certainly reminds one of a number of post impressionist artists. We are unable to tell where this image occurred but it shows many people strolling around the Fountain. It is pencil, charcoal and whiting. The image measures 12X15 inches, drawing on a thin japan type paper tipped to a cardboard backing. 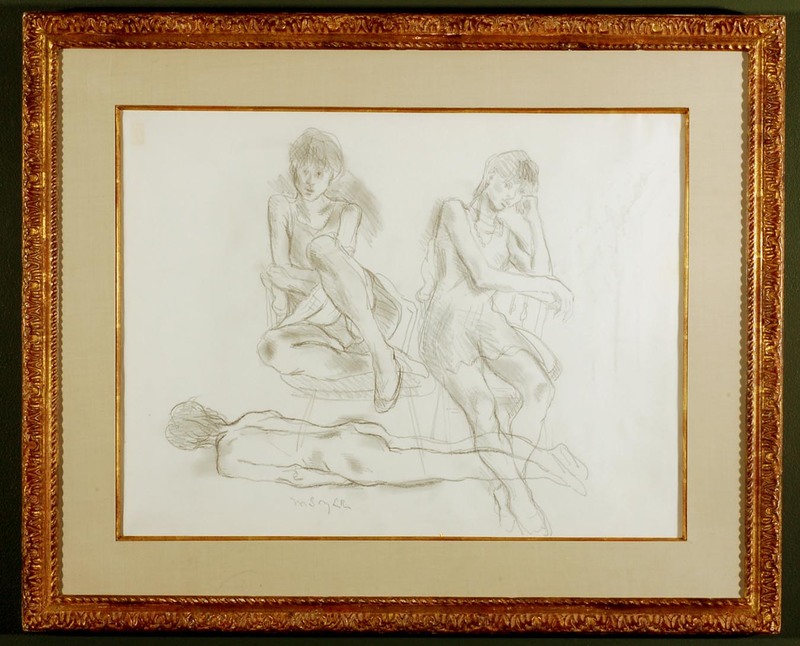 Pen and ink drawing, image size 7 3/4 x 10 inches, c. 1930, signed and initialed l.r.